Floor Polishing is a process that can be done by the owner but it is by no means an easy task. Most professionals have high-end equipment and experience that the average person just doesn’t have. To avoid having to deal with the stress of having to learn the entire sanding process on the job and potentially causing damage, not to mention having the project take much longer than it would with a professional company, it would be better to hire a floor sanding company. Choosing a company can be tricky for the first time customer. Floor sanding isn’t something many people know a lot about. It’s really a topic that only comes to mind when necessary. That’s why choosing a floor sanding company really comes down to testimonials from other customers as well as viewing the portfolio of past works. The portfolio helps to give an idea of what projects have been done before and if they are similar to yours. There is no guarantee that a lack of similar projects means they can’t complete the job, of course, but it is always comforting to know there is a record. Testimonials are also important since these come from customers juts like yourself. They will be able to speak to the concerns you may have and help to answer questions you didn’t think about yet. By reading testimonials it will be possible to estimate the quality and type of services that are provided and the level of reliability. If these aren’t published on a website, many companies will be able to put you into contact with past clients to help you get feedback. A measure of quality is quite important but it is not the only measure by which a company is chosen. Not all customers have the same budget and so it would not be logical to imagine one price suits all the customers. That is why getting quotes is an important step in choosing a company. Before choosing you should get a number of quotes (at least three) and compare the spread. If they are all similar, this is an indication that the job is being quoted for correctly and no outlier is present because of a high mark-up. Detailed quotes which state the products that will be used as well as the cost of every service are best. Companies that do not provide quotes should not be considered as quotes are an indicator of reliability. 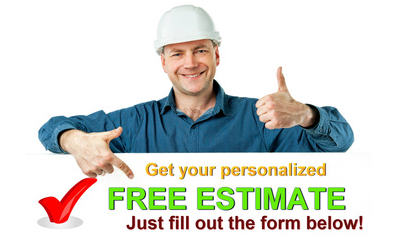 By choosing a reliable and experienced company this will eliminate the trouble of having to do it all yourself. Furthermore, the quality of work is sure to be higher. Companies will also provide information on how to treat the floor yourself after the sanding process is done so as to eliminate major issues with daily wear and tear. Minor changes to behavior such as removing shoes before walking around can have a real impact on how quickly the floor is scuffed up. It is this invaluable information that comes from experience that can really make a difference to the whole floor sanding process.